Several years ago, an online trader did not have a lot of trading tools to choose from. However, with the development of technologies, a number of such tools rose to several hundreds. Nevertheless, trading platforms are still popular among traders. Trading platform is a new generation system containing a set of technical and software tools. 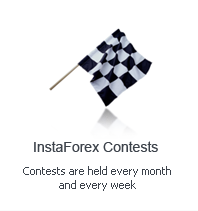 They provide access to financial information and allow market participants to perform trading deals on the forex market. Besides, they record all transactions between clients and a broker. There are several types of trading platforms, which differ in their interface and software. MetaTrader is the most popular among modern trading platforms. The main functions of these platforms enable traders to make various calculations and perform financial operations as well as buy and sell assets and currencies in a real time mode. Using MT4 and MT5, traders can monitor their account balance and get notifications about new positions as well as profits and losses. 10. social trading service Trading Signals. 9. multicurrency strategy tester with a system of distributed computing. 1. The MT4 trading platform is more convenient and user-friendly. It mostly suits people unfamiliar with programming and technical operations. According to the reviews of most traders, it is easier to trade via MT4. 2. MT4 allows traders to open as many trades of any type as they need. Besides, these positions can be opened on different levels and traders can work with each of them separately. Using MT5, traders can open several orders of the same type, but they will be transformed into one position and, on the chart, there will be only one order. 3. The MT5 advantages also include the option for opening of an order with one click in the Market Watch window of the Trading section; new Elliot wave tool; and updates for strategy tester. 4. MT5 is more interactive. It has a new convenient function that allows traders to modify existing orders dragging them to the chart window. 5. MT5 has no locks and gives traders an opportunity to use OOP in MQL when creating difficult programs. 6. MT5 is a more professional version for really challenging tasks. Downloading MetaTrader, users got an opportunity to open demo accounts to polish their trading knowledge without any risks. Demo accounts help traders learn the main trading principles and provide them with all necessary tools for improving their skills and trading profitably on a live account. To start live trading, users should enter their live account credentials and select a server. Choosing a trading platform, learn carefully the presented information. Besides, you can read feedback on each platform written by experienced traders. Beginning traders can start with a demo account, while experienced market participants can follow the link and download the most suitable trading platform.